The mighty mini. The LG SideKick™ is specially designed for your small, custom-care laundry loads. You can clean days of sweat-laden spin class gear now rather than waiting for a full load in your regular washer. Your clothes (and family) will thank you. Magnetic Remote Control - Just press play. 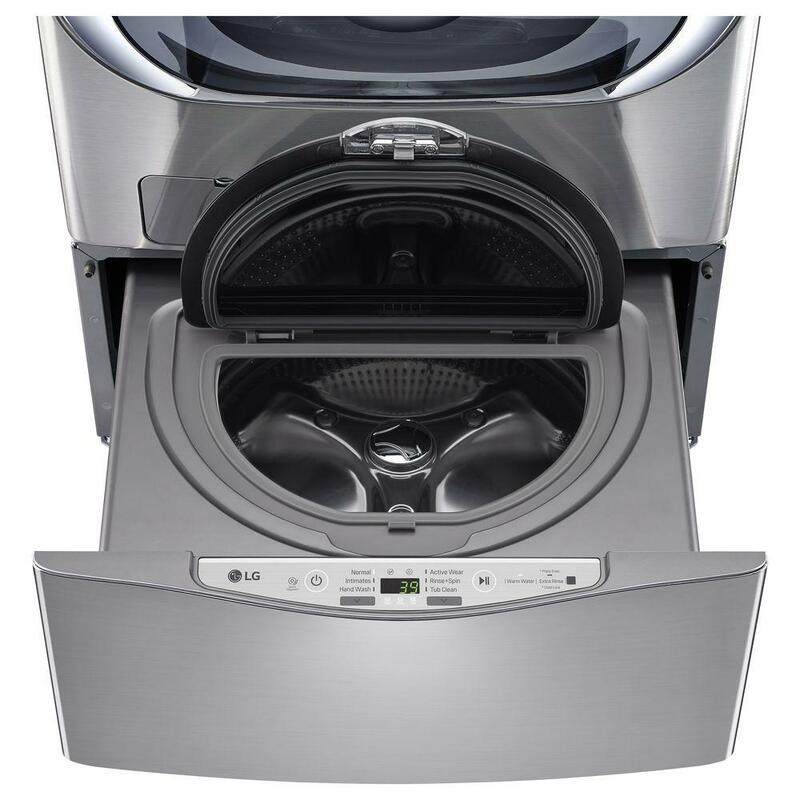 Grab the multi-function remote control RCW1 to start, stop or select a cycle on your LG SideKick™ washer. Plus, it's magnetic, so you can attach it to the side of your washer, dryer or other metal surface. Hand wash care, now hands free. With special cycles for Intimates, Hand Wash and Active Wear, each setting is designed to deliver a thorough clean and proper fabric care for your items. There's even a convenient Tub Clean cycle to keep your LG SideKick™ fresh and in tip-top condition.